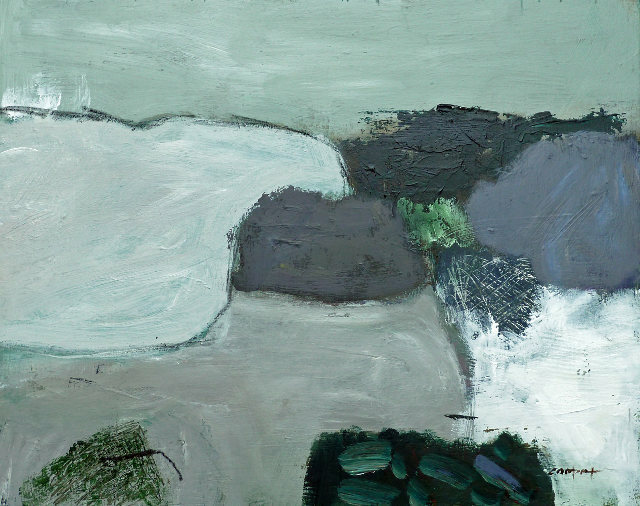 Cornwall-based artist Julia Cooper has a knack for evoking the landscapes and seascapes she lives among. 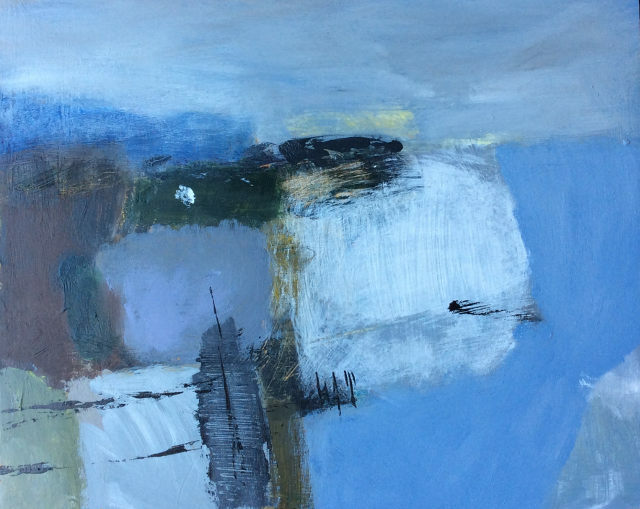 In the stillness of her mixed media abstracts she conjures a sense of wind buffeting coastal tracks, of rain running down windows and the deep comfort instilled by the sound of weather squalling around a solitary loft. When the National Trust moved the centre of these projects from Cornwall to Wiltshire, Julia took the opportunity to focus on art full time. “I’m very lucky, I know that,” she says. 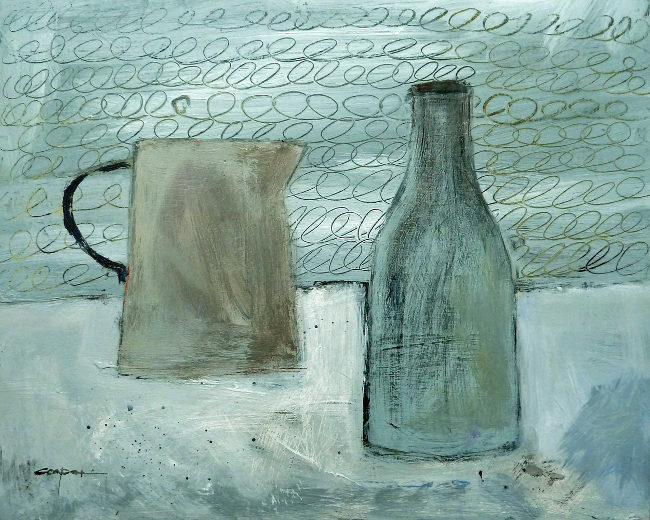 Find Julia’s work in upcoming exhibitions at David Simon Contemporary in Bath from 9 October till 30 November, on West Bristol Art Trail on 17-18 October and at www.jcooperart.co.uk. 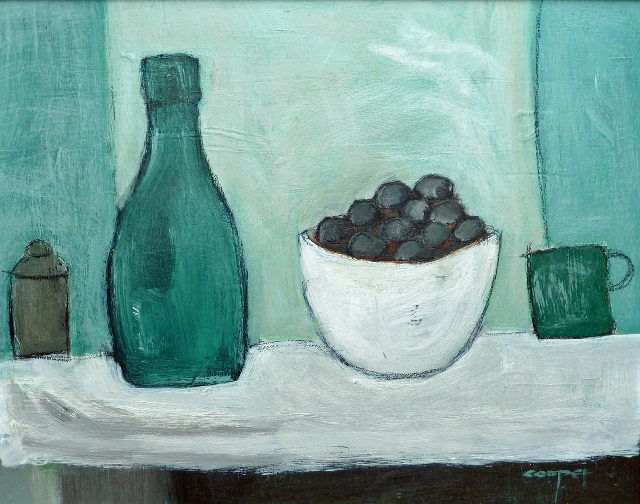 This entry was posted in Inspiration and tagged art, Cornwall, Julia Cooper by Judy. Bookmark the permalink.